Do you suffer from insomnia? Did you know that Acupuncture and Chinese herbal medicine can help you fall asleep and stay asleep through the night, allowing you to wake up refreshed and ready for the day? 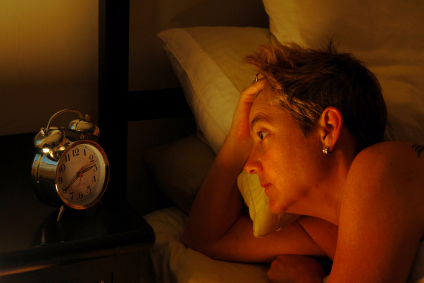 Stress, hot flashes or restless legs may keep you awake or wake you up during the night. Excessive dreaming or sleep apnea may prevent you from getting the quality of sleep you need to feel refreshed. Symptoms can manifest as difficulty falling asleep, difficulty staying asleep, waking up too early or poor quality of sleep. With age, sleep becomes even more difficult and symptoms can become worse. Reports have shown that about 30 to 40 percent of adults suffer from insomnia. Acupuncture and Chinese herbals treat the underlying cause, eliminating the symptoms. Natural remedies balance the body without side effects and without creating dependency. From an Oriental medicine perspective, an acupuncturist determines if the body has too much, or too little, qi and blood, or if the body is too hot or too cold. Herbs and acupuncture can help correct the imbalance. When we become physiologically balanced, we can sleep. Sleep is required to recover and heal. Sleep provides time for the body to replenish energy. Restful sleep allows mental and physical recuperation, so we wake refreshed. Without sleep, hormonal equilibrium is disrupted, putting us at higher risk for diseases such as cancer, hypertension, diabetes, heart disease and other illnesses. Having trouble sleeping? Give us a call at Acupuncture Alternatives and let’s talk about how Acupuncture and Chinese herbs may help you to be able to get a good night’s sleep.